Jan. 23, 2019—Join Tammy Algood, current recipe developer for "The Tennessee Magazine," at the February installment of Vandy Cooks from noon to 1 p.m. Friday, Feb. 8, in the Vanderbilt Recreation and Wellness Center teaching kitchen. Jan. 3, 2019—The Vanderbilt Recreation and Wellness Center and Health Plus will host the next installment of Vandy Cooks from 5 to 6 p.m. Thursday, Jan. 17, at the Rec Center teaching kitchen. Oct. 18, 2018—Chef Jason Porter, executive chef for the Monroe Carell Jr. Children’s Hospital at Vanderbilt, will share his 28 years of culinary expertise at the Nov. 7 Vandy Cooks. Aug. 1, 2018—Join Chef Jesse Kraft, senior culinary planning manager for the Vanderbilt Medical Center’s Sodexo team, to create Chickpea and Rice Stew. Jun. 25, 2018—The Vanderbilt Recreation and Wellness Center and Health Plus present, Vandy Cooks: Healthy Appetizers with Beef, on Wednesday, July 11 from 12:00 – 1:00 p.m. in the Vanderbilt Recreation and Wellness Center Teaching Kitchen. May. 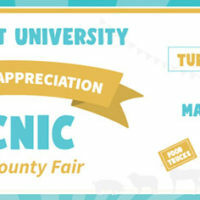 24, 2018—In celebration of June Dairy Month, join Karman Meyer from noon to 1 p.m. Friday, June 15, at the Vanderbilt Recreation and Wellness Center teaching kitchen as she demonstrates how to include dairy foods such as milk, cheese and yogurt in family-friendly meals and snacks. Mar. 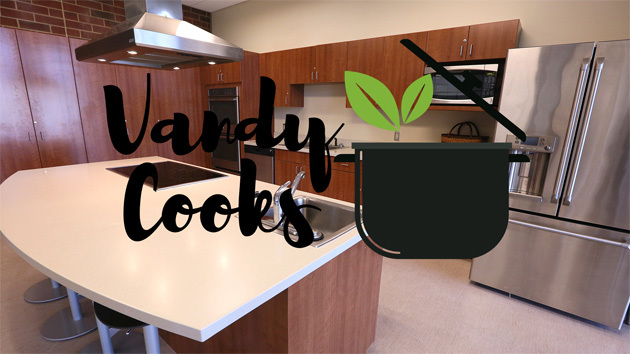 23, 2018—The Vanderbilt Recreation and Wellness Center and Health Plus present "Vandy Cooks with Tammy Algood" Friday, April 6, from noon to 1 p.m. in the Vanderbilt Recreation and Wellness Center teaching kitchen. Feb. 14, 2018—Do you love Indian cuisine, but think it may be too difficult to prepare? Kalyani and Venkataraman Amarnath are back by popular demand to share their favorite native Indian recipes chosen for ease of preparation as well as delicious taste.